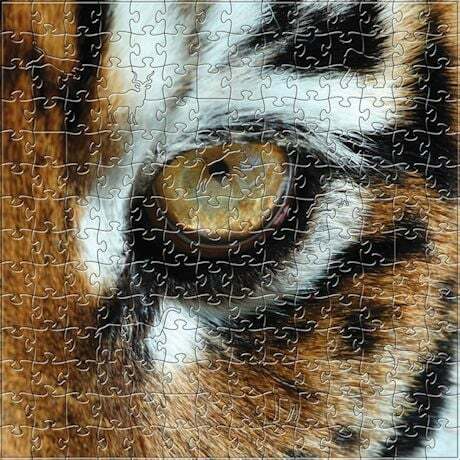 Magnificently depicting wild animals in full-color photography, these puzzles were made using fine art prints and eco-friendly materials; handdesigned figural pieces are extra-challenging due to a unique cutting pattern. Each figural piece is in the shape of an animal or item themed to the puzzle print. 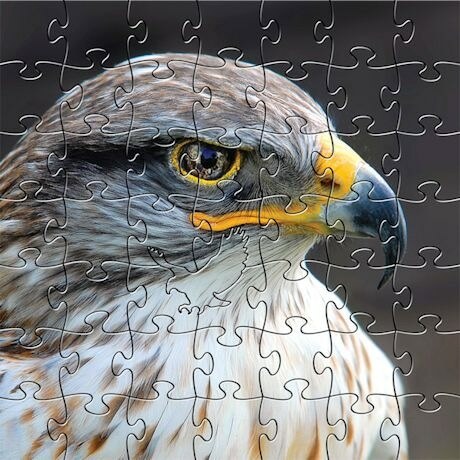 Heirloom-quality wood jigsaw puzzles, made in USA; ages 8+. Small puzzles have 50 pcs. with 5 figural pcs. Medium puzzles have 299 pcs. and 10 figural pcs. Choose between Eagle Eye and Tiger Eye, small or medium.